I am so excited to announce that it looks like I will be researching and writing a biography of arguably England's most tragic queen, Katherine Howard (c.1523/1524-1542). Readers may be aware that I have conducted research into aspects of her life before, namely her birth date and family relations, and on the nature of her downfall in 1541 (which I am still looking into). The major reason I am looking to do this is because I feel much of Katherine's life has been thoroughly misunderstood and misinterpreted. As historian Retha Warnicke has noted, there is too great a focus from largely male historians on political aspects of Tudor history, rather than delving into aspects of gender and sexuality. This is, of course, particularly relevant when looking at female figures, whether queens, noblewomen or ordinary women. In view of this, my work will have an underlying focus of gender, women, and sexuality more generally to provide, in my view, a more nuanced view of this queen's life. While politics and faction are, of course, essential in any study of the Tudor court, a more balanced approach is necessary if we wish to de-construct the enigma of Queen Katherine. The work should be published by CreateSpace, Amazon's own publishing company, and I am tentatively looking at a date of August 2013. 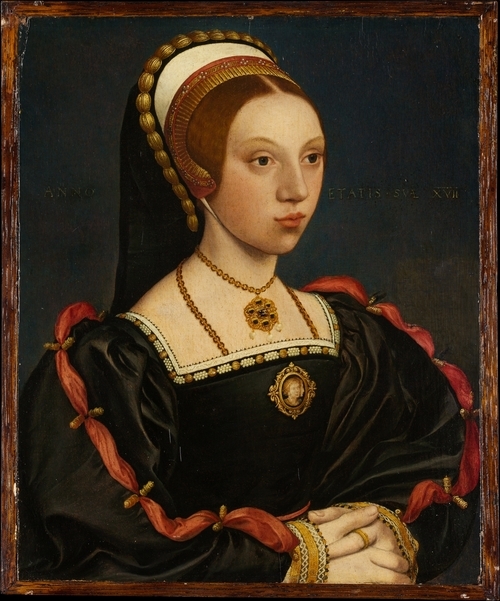 A Tudor Mystery: What Happened to Amy Robsart?